We've provided these calculators for you as a quick reference for your next home purchase in Central Kentucky. Use these to figure out how much home you can afford, along with your monthly payments on a home loan or mortgage, and amortization schedule. 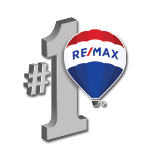 If you have further questions or would like to begin working with a Central Kentucky real estate agent, contact us anytime.